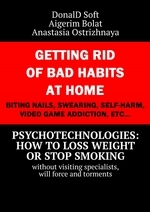 Аннотация к книге "Russian psycho technologies: how to loss weight or stop smoking. without visiting specialists, will force and torments"
The brochure demonstrates a safe method of getting rid of widespread harm habits and destructive addictions at home without will force, diets, torments and visiting specialists. Bad habits are replaced by useful skills through the simplest children’s meditation. The whole therapy takes 5—15 minutes a day. 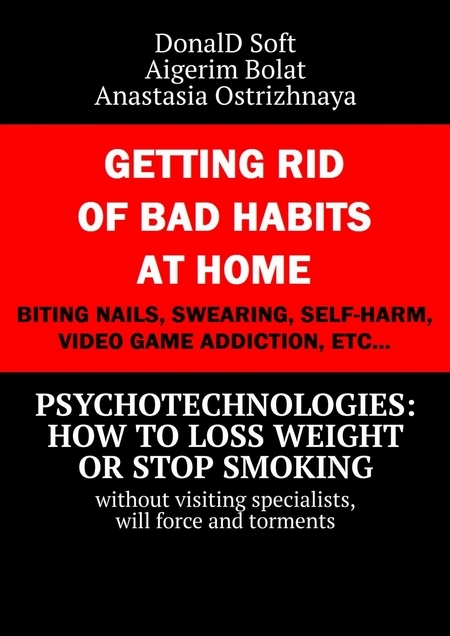 Getting rid of bad habits at home: biting nails, swearing, self-harm, video game addiction, etc.